Citizens interested in a septic permit for their land should contact the Mason County Health Department today. Simply follow the directions on our website and fill out the required information. After that, your septic permit will be underway within no time at all. The entire process is simple and easy for all. Citizens receive the highest quality service and care from Mason County. The local government is dedicated to helping with construction in the region. No one is denied the opportunity to submit an application. Upon completion, the application will undergo an approval process to ensure it is viable, before beginning to build a septic system in the desired location. What is a septic permit? A septic permit is a simple bit of paperwork issued by the Mason County Health Department. The permit will indicate whether or not someone in the county may begin construction of their very own septic system on a specified site. Without the permit, you may not be able to begin construction. Citizens are required to fill out the application before being granted approval for health and safety reasons within the immediate area of construction. Upon approval, most residents will require a soil test before construction may begin. A soil test will ensure the area is clean and ready for new construction. 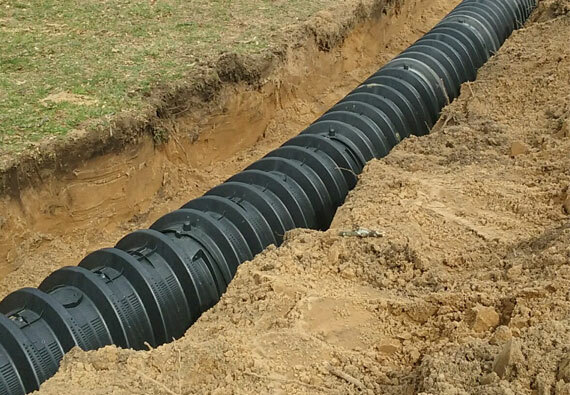 When you cannot connect a waste treatment system, a septic system will suffice. These installations generally occur within rural areas. Some urban residents build their own as well. Certain urban environments have banned the construction of septic systems, however. Speak with a representative of Mason County to learn about these restrictions in further detail. Need more information on septic systems and applying for your own septic permit? Contact the Mason County Health Department at the following number: 309-210-0110.